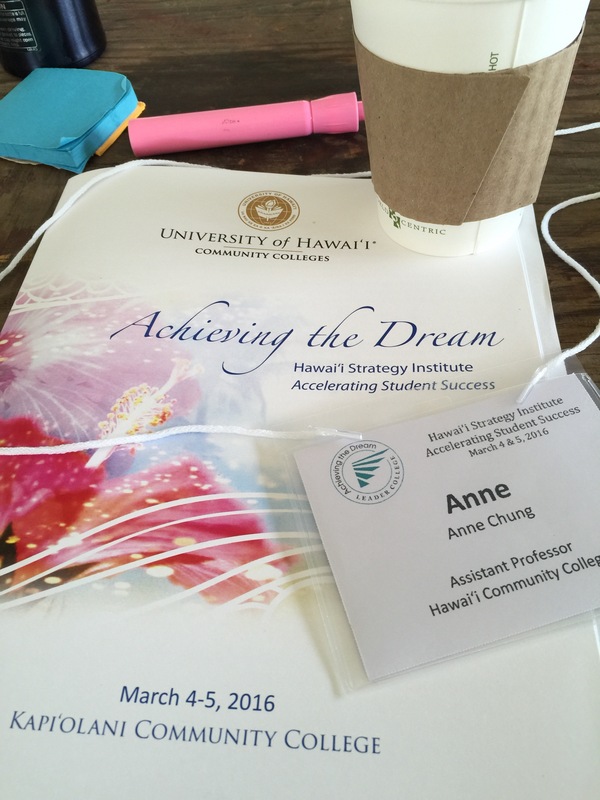 The 2016 Hawai‘i Strategy Institute: Accelerating Student Success was a two-day conference held at Kapiolani Community College that over 800 participants from University of Hawai‘i Community Colleges attended. The participants focused on topics such as using evidence to increase student success through appropriate policies, effective strategies, improved services to students, and personal development. The 2016 Hawai‘i Strategy Institute was the seventh institute that brought together faculty and staff from the seven colleges in the University of Hawai‘i Community Colleges, who are engaged in best practices, innovations, and strategies that lead to increased student success. Besides learning about what their colleagues are doing, participants also learned about system‐wide progress and national student success trends in higher education. This year’s theme, Accelerating Student Success, is a reflection of the University of Hawai‘i Community Colleges ongoing strategies and initiatives to increase the number of students receiving a degree or certificate. We attended breakout sessions, met in our discipline areas, met as a college, and came together in a large group for our keynote speakers. Hearing from colleagues, administrators, experts, and students helped all who attended get motivated and energized to help our students succeed. We came away with insights, strategies, and new connections to help us achieve our goals.